Welcome to Himalay Engineering Co. 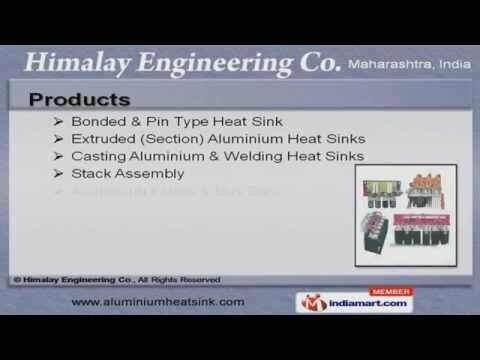 Manufacturer & Exporter of Cast Aluminum Heat Sinks & Gravity Dies The company was established in the year 1998, at Mumbai. We have spread our wings to Indian Subcontinent and we cater to electronics, electrical & Telecommunication industry. Latest technology support, customized solution & expert professionals help us to achieve an enviableposition in the industry. We offer a wide assortment of Stack Assembly, Aluminium Plates & Bus Bars. Our Bonded & Pin Type Heat Sinks are extremely reliable. We also provide Extruded Aluminium Heat Sinks that are well known for their durability. Our Casting Aluminium & Welding Heat Sinks are widely appreciated in the market. Along with that we offer Stack Assemblies that are available at industry leading prices. We offer Aluminium Plates & Bus Bars that are cost effective.